Are you curious about Corian countertops cost in Maryland, Northern Virginia, DC, Baltimore, Annapolis, Columbia, Alexandria, Fairfax and the surrounding areas? Then keep reading because the information you find here will show you just how much these countertops will cost you and how they can fit into your kitchen design. Do you want to talk to someone about countertop costs today? Give us a call at 410-712-0601 and we’ll be happy to help. Or you can Click here to request your fast, free estimate. What Factors Into Countertop Cost? When it comes to Corian countertops, or any other kind, there’s no single answer for how much counters cost. Because no two fixture installation projects are exactly the same, many different factors can determine just how much your Corian countertops cost might be. The Size and Scope of the Project – The most obvious and biggest factor. How large your countertops are will determine how much material is needed. If you decide to use Corian for your kitchen, then it will probably cost more than a bathroom countertop installation. Likewise, if you want additional fixtures that complement your counters, like backsplashes and kitchen islands, then the cost of the project will be higher as well. The Color – Believe it or not, countertop color plays a large role in what you can expect to pay as well. Some colors are more popular than others, so suppliers can charge more for them. By choosing a color that isn’t used as often, you can save money and help your kitchen stand out that much more. Edge Styles – Countertop edge styles add a personal touch, but not all styles cost the same. Because of that, it’s something you want to think about when considering Corian countertop costs. Some styles are simple, others are more intricate. Whether your kitchen is more for work or show can help determine what kind of edge is best for your designs. Maintenance – You also want to think about maintenance of your countertops, as it’s an ongoing cost you will have to address for as long as you own the fixtures. Fortunately, Corian is resistant against stains and designed to be very easy to clean leaving costs in that area low. Likewise, minor scratches and scuffs are easy to repair with Corian countertops so you won’t have to worry about problems with the counters breaking your budget. These are the things you want to think about when choosing Corian counters, so keep them in mind as you look and you’ll be able to determine if this is the right surface material for your needs. Remodeling your counters is an involved project, so you want to make absolutely sure the material you pick is right for what you need. The price you end up paying for any kind of countertops should be a direct reflection of what you will be using those counters for, so weigh your options against your needs and go from there. So What Can I Expect to Pay for Corian Countertops Cost? The cost per square foot of Corian countertops varies depending on the factors discussed above, so you will need to request an estimate to learn all about just what you can expect to pay. As a solid surface countertop, you can be sure that this material will cost you far less than what you would expect to pay with many other materials, so it might be perfect for your budget. In order to get the best value, you need to make sure you work with skilled installation specialists who can look closely at your needs and give you the best solution for your dollar. If you want to discuss Corian countertops cost and what you can get for the budget you have in mind, then get in touch with the professionals of Express Countertops. Here at Express Countertops, we know exactly what it takes to make a kitchen or bathroom design stand out no matter what material is need. We will work closely with you one everything from the color to the final implementation so that your counters are perfect for your needs, whatever they might be. With Express Countertops on your side, your kitchen will be turning heads in no time! Are you ready for your counters? 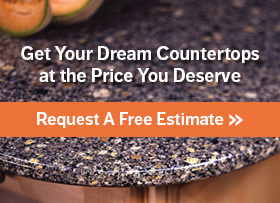 Call 410-712-0601 or click here to contact us for a free Corian countertops estimate. We’ll discuss the Corian countertops cost for your particular project and get you started before you know it. Express is home of the famous 7-day Installation Guarantee!